Muscle pain is the kind of pain often experienced by the human body when the muscles of the body are overused or over-stretched. 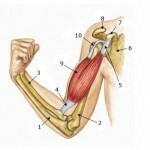 It can involve more than one muscle and even tendons, ligaments and internal organs. 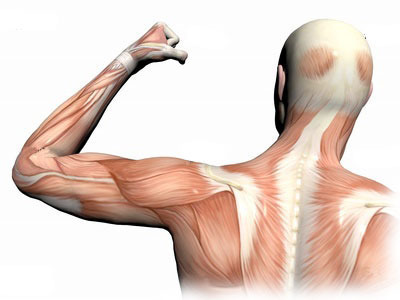 Therefore, muscle pain can be the indicator of many kinds of diseases that the human body might be infected with. The common muscle pain symptoms include a dull to sharp ache of the muscles whenever it is voluntarily moved or involuntarily functioning. Sometimes, involuntarily actions such as sneezing or coughing can cause muscles to send a tingling or shooting sensation on our muscular areas, specifically towards the lower abdominal muscle and the upper back area. Often, muscle pain causes are due to over-stretching, overuse, tension and injury from a physically-demanding work load. Muscle pain can always be felt after a day of stretching our physical capabilities beyond what our bodies are normally used to. For instance, when our body is not much used to exercising or carrying heavy loads, it experiences muscle pain on our legs, arms or backs hours after the demanding tasks. Another one of the muscle pain causes are sudden trauma to the muscles, which is caused by a sudden injury. It is entirely different from the causes of exercise activity, of which the cause of the muscle pain is due to the reinforcement of the muscles, making it stronger in the anticipation of heavier activity. Another one of the muscle pain causes is the use of prescription drugs or an existing disease in the body, of which muscle pain is more of a symptom. Muscle pain diagnosis depends mostly on the duration, location or the severity of the pain. Common muscle pains are often chronic, which shows up and subsides from time to time if you are mostly overusing or over-stretching your muscles. However, if the muscle pain does not subside within three days, then it might be an indicator of a severe disease. Loss of blood circulation on major arteries can also be the cause of muscle pain and is therefore in dire need of medical assistance. Stabbing and unexplainable pain in the muscle may also be an indicator of a more dangerous condition. However, there is some form of muscle pain relief. For muscle pain causes that include injury or overuse, rest is the most helpful relief. It also helps to take ibuprofen and muscle pain relief medications to relieve the pain. Another way is to apply cold pressure on the area of pain, accompanied with enough water to drink and rest to take. Lastly, muscle pain relief also takes in the form of serious medical attention, depending on the severity or the unusualness of the pain. Some forms of muscle pain do not heal alone, so it is better to consult a doctor if the pain is long-lasting or unbearable.